Canadian tech-giant, Research in Motion (RIM), the company that is well known in mobile industry, has rebranded after after over a year of hiatus to its main product line - the BlackBerry. Now being a fruit company, its first leap to revive its old glory is releasing the heavily-leaked BlackBerry Z10 and Q10. The company aims to occupy a spot to the now Apple and Android-dominated market with this it's handset's evolution with full touch interface of Z10 and cutting edge yet minimalist keypad design of Q10. Being the first device that runs with the BlackBerry10 OS, Z10 proves itself to be as stunning as the iPhone 5 in both hardware and perfomance. This 4.2-inch device offers a stunning 356ppi that is very capable in play 1080p videos. The Z10's 8MP camera also has features that is integrated with the now legit BB10 OS, and the 2MP front shooter is also a gem. For those of you seeking for a concrete performance, Z10 is powered by a 1.5 GHz dual-core processor. It having a 2GB of RAM and 16GB of expandable memory, Z10 seems to pose a great threat to other flagships around. The device is pampered with a plethora of radios like NFC, LTE, WiFi, GPS, etc. 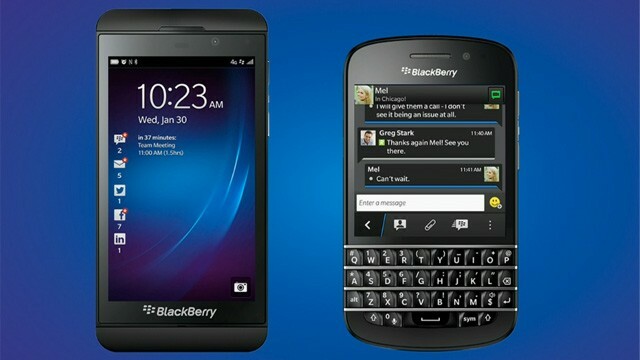 The BlackBerry Q10 is also a compelling device with the traditional QWERTY keyboard. It's 3.1-inch Super AMOLED screen is framed by an edge-to-edge glass. Not to mention that it sports a 330ppi in 720 x 720 p resolution, this little puppy will certainly cure you visually-demanding eyes. Just like Z10, this handset is also equipped with 8MP rear and 2MP shooter. The 16GB storage with expandability options wont keep you at bay. BlackBerry seems to be pulling a big handle to jumpstart its "comeback" to the smartphone world after it has leaked an ample amount of user base to Apple and Android. BlackBerry platform has now 70,000 apps and a thousand more coming every week to make it more legitimate.